The new year is upon us. That means it's time to sign up for Alumni Float Trip 2018! As usual, it will be the first weekend in June (June 1-3). For those of you who have never been to Alumni Float Trip or haven't in a while then you're in for a treat. 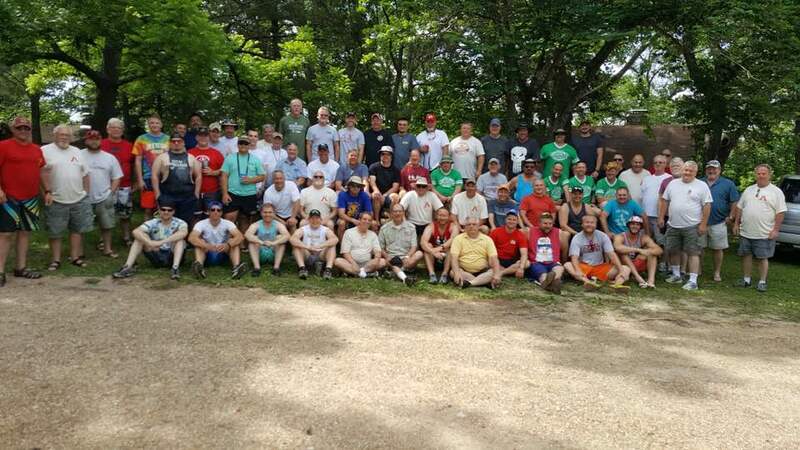 It has grown significantly over the past few years and we regularly have close to 100 brothers attend. Chances are, you'll get to reconnect with at least one old friend. The past few years we have been using the chapter's website to purchase/reserve cabin and camping spots ahead of time. We currently stay at Gasconade Hills Resort on the Gasconade River in Richland, MO. A map and directions to the resort may be found below. For those that would like to, there is typically a group that goes golfing the Friday before we float. We will be golfing at Great Life Golf and Fitness in Lebanon, MO. We will not be purchasing golf spots online this year. Click below if you would like to go to the golf course's website. If you would like to golf please contact Mike Edwards by clicking the button below. More information on the plans for golfing are listed in the weekend's schedule below. Talk to people you haven't seen in 10+ years. NOTE: If you would like to come down on Thursday, May 31, you will need to make separate arrangements with the resort. They may be contacted using the phone number at the bottom of their website using the link mentioned above. We have been listening to comments and suggestions we received last year to improve float trip sign-ups. This year will include a staggered sign-up process. Please click the button below to view the order of sign-up's for the 2018 float trip. Sign ups for shirts has ended!!! 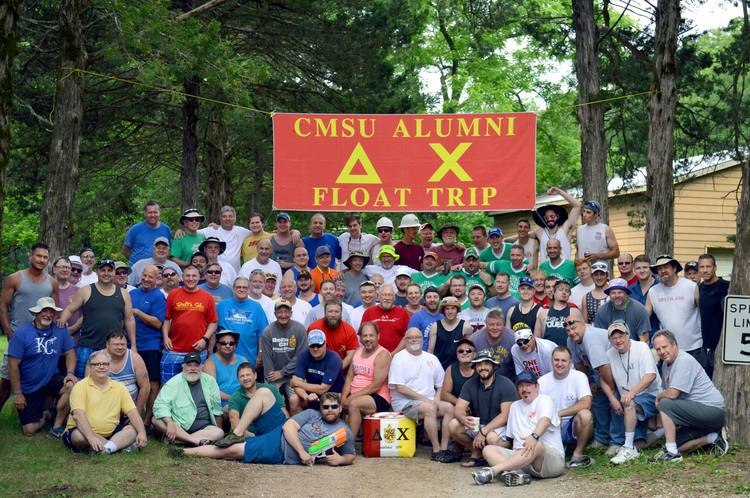 In conjunction with the Alumni Float Trip, the active chapter will be having a fundraiser during the NCAA Tournament to benefit the V Foundation for Cancer Research. More information will come soon.